If you work in SEO then you’ve probably noticed by now that people don’t really like giving links away for free. While giving away links is no longer thought to badly damage our own ranking, it’s nevertheless probably not wise to give out too many too freely as it still means pointing visitors away from our site. Furthermore, as links have value, giving them out freely is essentially a waste of money – you could be charging for those. This makes life difficult when you’re trying to build a comprehensive and natural looking link profile though because it means that you’ll have to bend over backward to get your links on lots of pages and that many sites will even clear your links up as you create them. Post a link on a forum and you might find yourself being banned from that forum, post it in the comments and it will probably be a ‘no follow’ link, you see the problem. So what can you do to get around this issue and get your links onto the pages that don’t really like giving out links? Here are some suggestions. Most of us wouldn’t just ask a stranger to lend us cash in the street, but we wouldn’t think twice about asking a close friend or relative for a tenner. We do things for our friends then that we wouldn’t do for anyone else, and that involves bending the rules often. If you ask for a link out of the blue, you’re giving the site owner no reason to say yes, but if you network first and discuss how your sites can help one another/why your site is relevant to their customers, what makes your site special – then they’ll be much more likely to let you have a link. Likewise you should also develop relationships on forums if you’re planning on posting there. Sign in and post a link and you’ll quickly get your account banned, but spend some time contributing to the conversation first and getting your name known and you’ll be much more likely to get away with posting links. So you’ve built up your reputation on a forum and everyone now knows who you are, so can you just go ahead and post to your site? Well you can, but you’ll still risk losing credibility or having your account blocked so instead think about what you can offer that site that’s really good. Offer genuine value to the members of that community and you will be a hero rather than a pest. This might mean giving away an ebook that you normally charge for instance, or a piece of software, or alternatively it might mean writing an article specifically to address a question or a topic that has been raised in the forum – even mentioning the members of that forum in the article. This can work wonders with guest posts too. While a webmaster might not have accepted your guest posts normally, if they are clearly written specifically for the members of that site and if they provide genuine value, then they’ll be hard pressed to say no. Oh and make that guest post really good too so that it will really impress their visitors. Mike is currently working for Wisdek as an internet marketing consultant. He likes writing blogs in his free time. 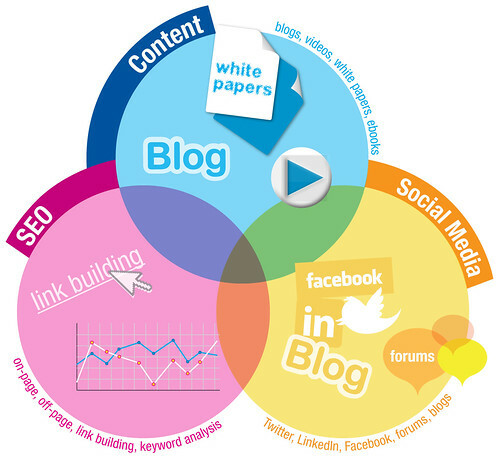 He mostly writes on topics related to SEO, web development and online marketing. For any information on website optimization you can contact Wisdek.